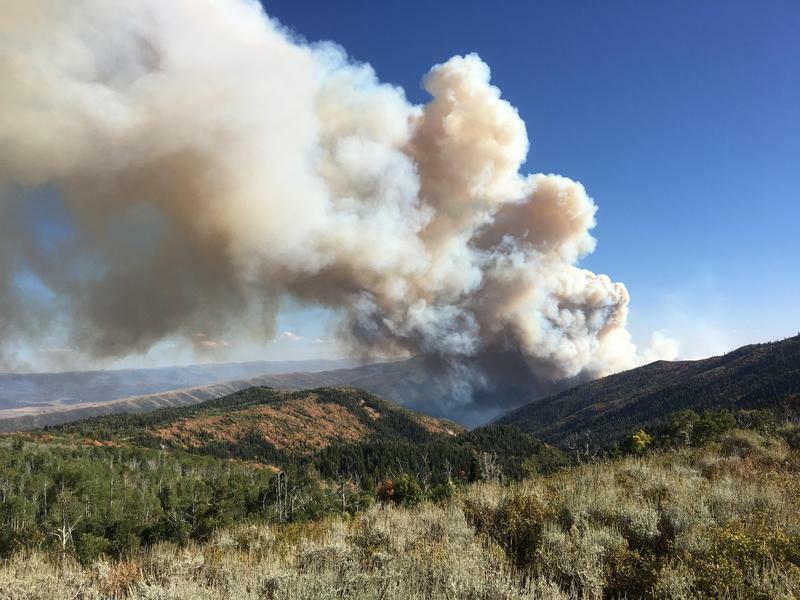 Post updated 7/25/18, 11:00 a.m.
Fire crews responded to a brush fire in the foothills behind the Utah Capitol that forced the evacuations of dozens of homes near Victory Road. 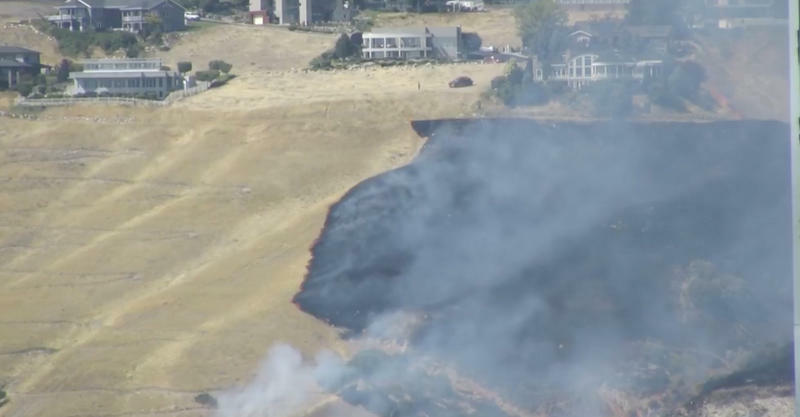 Salt Lake City Fire Department spokeswoman Audra Sorenson said the grass fire broke out late Tuesday afternoon and burned and estimated 100 acres, causing approximately $20,000 in damages to homes. Sorenson said the damage was mostly to fences and melted siding. Helicopters are being used to contain the fire north of the Utah Capitol. Two firefighters suffered from smoke inhalation and exhaustion, Sorenson said, while one suffered from a leg injury. She said all three have been released from the hospital and are in fair condition. Officials closed Victory Road and evacuated nearby homes in the area while crews used helicopters to fight the blaze. The road was reopened between 6:30 and 7 p.m. Residents in the area were also able to return to their homes early in the evening. The neighborhoods near Ensign Peak are considered at high risk, according to Sorenson. Fire crews clear out noxious weeds each spring to mitigate fuel for fires. Sorensen said many of the properties in the neighborhood were xeriscaped, which created a barrier against the encroaching flames. The cause of the blaze is under investigation. Sorensen said lightning and fireworks have been ruled out, however investigators believe it was human caused. Firework restrictions were in place in the area affected. A hazy plume from the fire blanketed parts of downtown Salt Lake with several people tweeting photos of the the smoke. 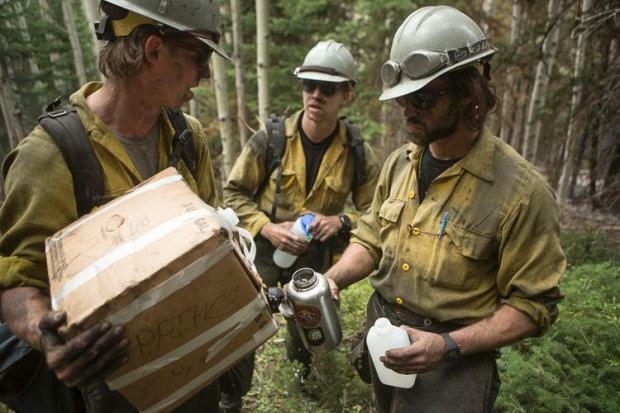 Officials said the fire was 95 percent contained within three hours. WATCH: KUTV video stream of fire. 3 alarm working fire behind Utah State Capitol. PIO is en route. More information to come.